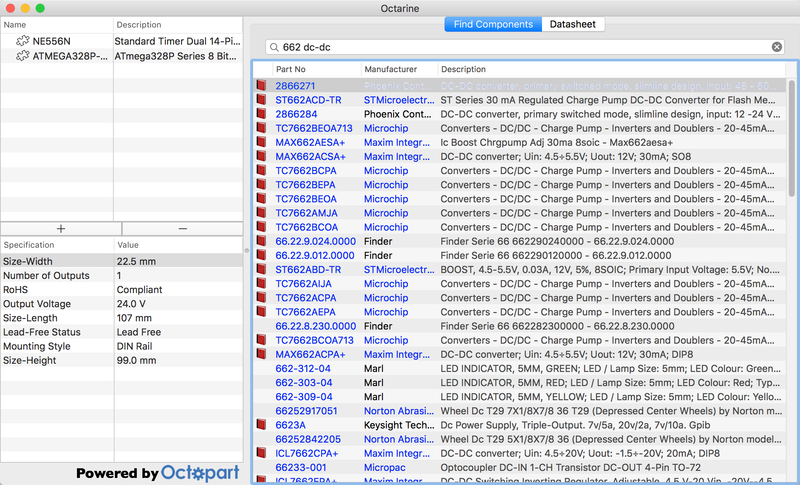 Having acquired a sizable collection of parts by now, I often find myself wasting time browsing for data sheets over and over again, instead of having them ready when I need them. I decided to remedy the situation by writing an app, Octarine, to manage my components. Building on the REST API offered by octopart.com, I tried to minimize the amount of information stored locally, and fetch everything else on the fly. 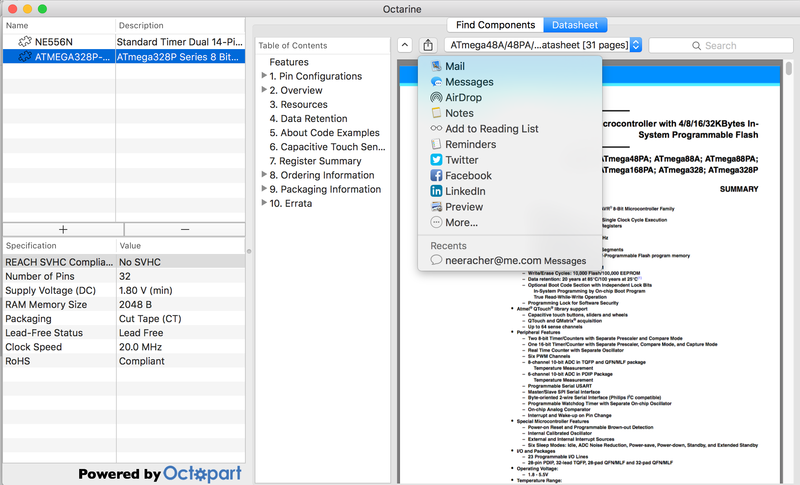 Octarine 1.5 is now available on github, running on OS X 10.10 (Yosemite) or later.